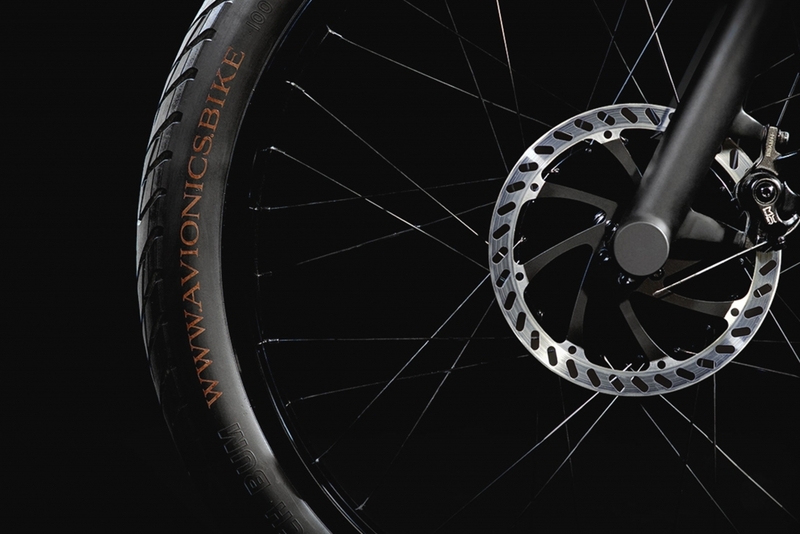 Those within the cycling industry predict that electric bicycles are going to be the next big thing. We’ve seen a recent resurgence of retro rides, we’ve had our fling with ultra-hip fixies and long harboured a fascination for carbon-clad racers but the real key to prising commuters away from their car keys and onto more environmentally-friendly alternatives is offering cheap and hassle-free transportation. 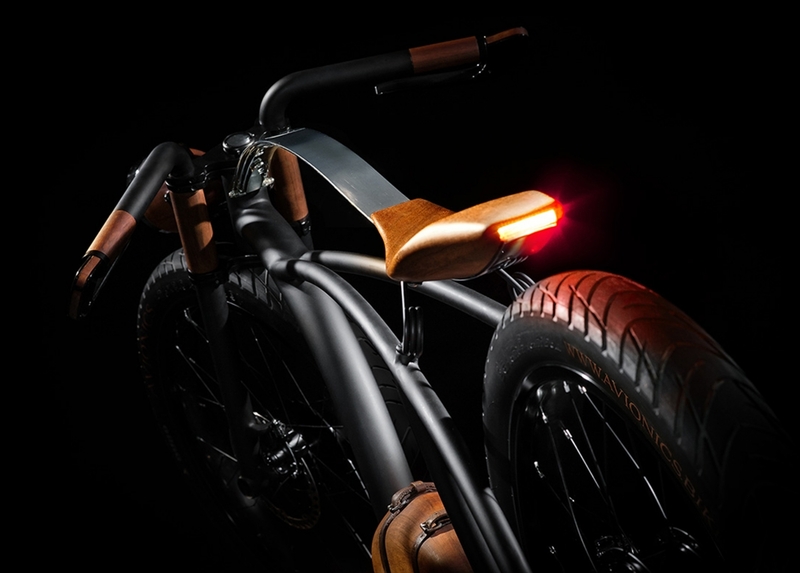 The Dutch have long been advocates of the electric bike as a means of getting around, as have many of our European cousins, but we are relatively late to the party. The e-Bike is yet to have its day in the sun. Avionics, however, seem to have bypassed any kind of ‘bedding in’ phase with the Avionic V1 and have catapulted straight to the ‘staggeringly beautiful bespoke creation’ stage, which typically arrives once consumers have had time to get used to the technology and ultimately lust after something a bit different. 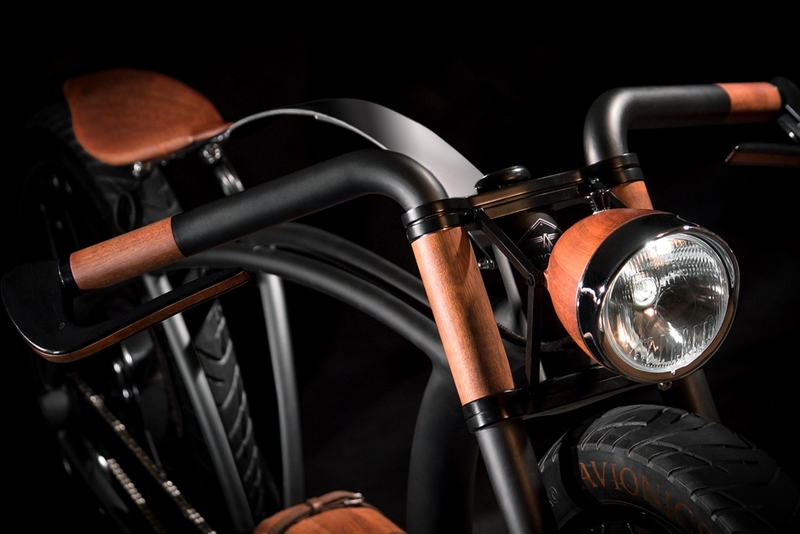 Its ridiculously handsome creation straddles the worlds of post-war motorcycles, electric bikes and steam punk art, its openwork frame housing a hand-crafted, leaf-sprung wooden saddle, a wooden front lamp and glorious wooden chest that houses the battery and electric motor. The Avionics V1 is capable of cruising at speeds of up to 58km/h (36mph) and kicks out an astounding 5,000W and 125Nm torque in completely unrestricted form. Batteries can be topped up in 2-3 hours from a domestic plug socket. Stopping power is provided by Hayes MX Expert disc brakes, while 26-inch wheels are shod in special Duro tyres that come bearing the Avionics name. 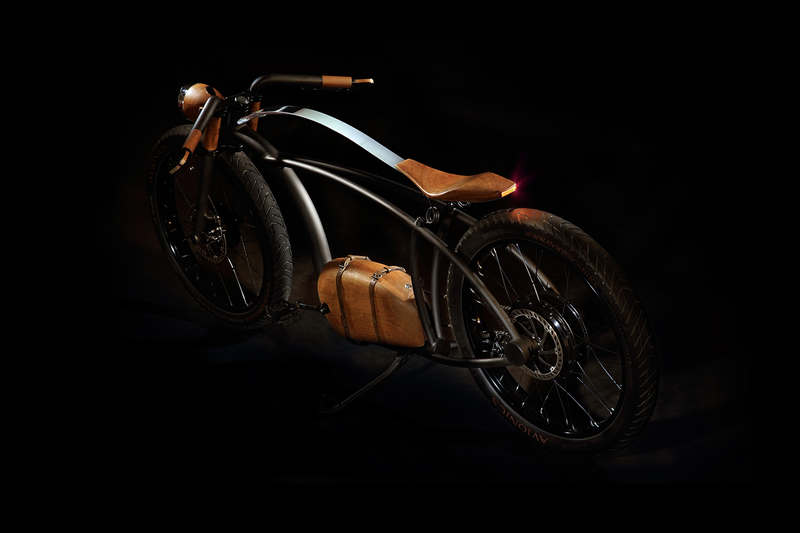 Everything else (apart from the electric motor and Lithium-Ion battery packs) is painstakingly crafted by hand. Polish adventurers and free spirits Jaromir and Bartek are the brains behind the business and tell us that every Avionics V1 is handmade by the best craftsmen in the field of electronics, woodworking, CNC milling and pipe bending. 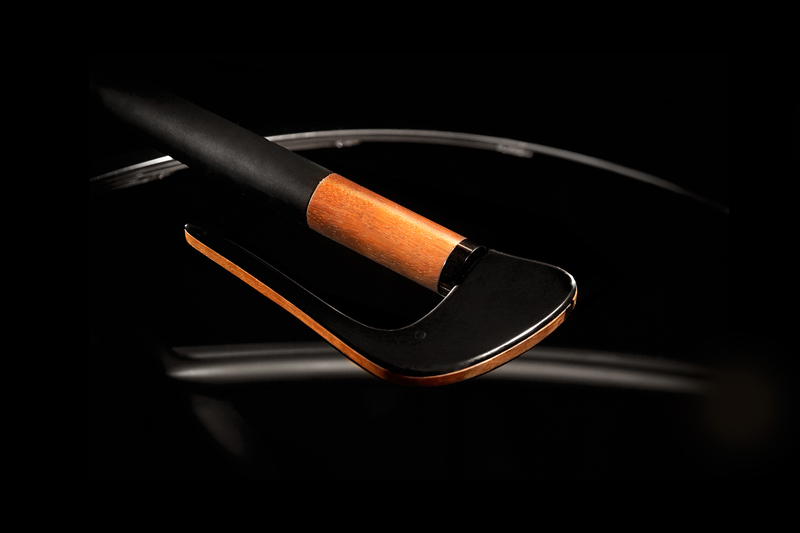 “Each item is unique and refined in every detail, so the production process can not be short,” explains Bartek. The pair currently has a fully functional prototype that they hope to show to potential customers, while an upcoming Indiegogo campaign will gauge initial reactions and offer special pre-orders with up to 40 per cent off the eventual asking price. That figure is yet to be settled but just 80 models will be made at any time, with each batch taking between 6-8 months. So if you want to get ahead of the curve and own an electric bicycle that not only beats a Tube ride but leaves passers-by awestruck on a daily basis, you know who to call. Visit the Avionics website for more information.